What is nature and dignity? Every human life, by its very nature, has inherent dignity from conception until natural death. We must protect all human life in all its stages. No abortion, no suicide, no denying ordinary care. Not even if the person chooses. Giving one person or group power over the lives of another is oppression. Let us love life more, not less! Let us never conclude that some lives have less worth. Let us strive to help to ease or endure suffering and never accept eliminating a life as a means. Death will come without our help, but can life? 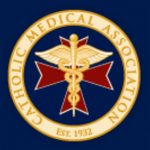 Catholicism, motherhood, medical practice, and teaching–along with bioethics and theology–have all given me perspectives that inform my writings in this blog. Though much of what I write is discussed without a religious framework, I hope to inspire some to consider the beauty and truth of Catholic teaching.